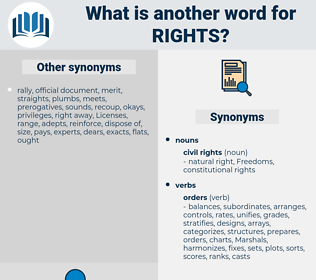 What is another word for Rights? Guarantees, authorities, citizenship, appropriations, credentials, Organizations, safeguards, Recommendations, certificates, violations, presentation, centres, obligations, Migrants, citizens, reports, conclusions, journalists, instruments, relations, services, conflicts, consumers, Standards, tribunals, victims, Pensions, peoples, kids, questions, issues, mrs, decisions, courts, dialogue, Treaties, mechanisms, Policies, Areas, forum, NGOS, aids, nations, works, Countries, rules, problems, privileges, 2005, 2002, 34, 1996, matters, 2001, permissions, Permits, affairs, Minorities, IPRS, 2000, Grants, trips, humanos, provisions, Refugees, complaints, resolutions, tariffs, Resources, settlements, institutions, Royalties, Parties, organs, Measures, customs, -rrb-, french, *, roma, Persons, Forms, acts, humans, object, programme, people, Bodies. information, discrimination, independence, privileges, representative, menschenrechte, democratic, equality, engineering, parliamentary, fundamental, political, matter, matters, realization, organization, support, concluding, equal, IPR, permission, permissions, labour, tomorrow, illegal, sub-commission, parliament, cultural, permit, Permits, affairs, beneficial, minority, Minorities, IPRS, original, indigenous, permanent, economic, world, declaration, health, ECHR, Relating, neutrality, president, Grants, trips, report, individual, basic, humanos, provisions, refugee, Refugees, gender, HRC, torture, hr, complaint, complaints, western, elimination, resolution, resolutions, tariffs, technical, defence, mobility, Resources, judicial, personal, defense, millennium, settlements, institutions, employer, columbia, police, canadian, september, republic, advocacy, before, sphere, Royalties, tribunal, Ms., institute, ottawa, question, party, Parties, university, cruel, These, assembly, gatt, issue, 'homme, regimes, slavery, revenue, society, european, optional, CHST, alliance, first, policy, civilian, civilians, BORO, britain, organs, group, period, homme, october, Measures, exchange, guy, belarus, spanish, palais, tax, related, conference, area, berne, DUES, contents, customs, day, latin, cyprus, -rrb-, office, science, official, french, rechte, indian, russian, sessions, *, payable, And, mission, asian, roma, person, Persons, Forms, acts, agenda, korea, zanele, albania, ;, finland, session, field, /, humans, lisbon, global, de, object, sima, item, programme, ecuador, tolls, people, program, royal, X, :, york, San, ace, sale, runner, ., C, jack, august, Levies, united, male, vienna, Bodies, pact, DCC, europe, meeting, women, 2004, 2006, april, Mr., 3, july, mr, name, un, law. 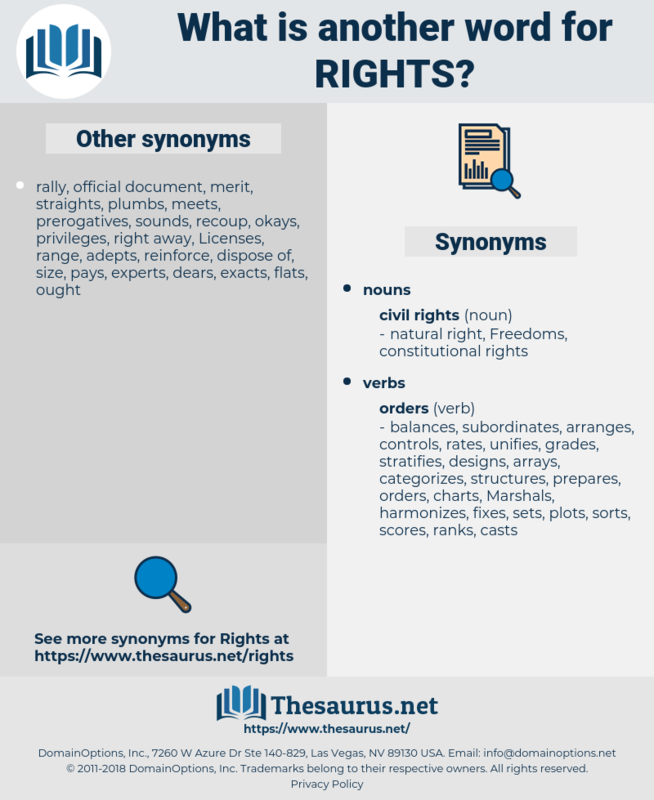 right-wingers, humanitarian, infringements, conditions, Guarantees, protections, headings, authorities, agreements, things, responsibilities, representatives, circumstances, Generations, Opportunities, appropriations, credentials, Organizations, strasbourg, safeguards, Recommendations, memberships, certificates, Negotiations, Possibilities, holdings, violations, expressions, competences, legislations, disappearances, observations, cooperation, individuals, ministers, priorities, obligations, requirements, Migrants, prevention, citizens, conventions, Gentlemen, Aspirations, positions, concessions, Associations, allocations, statistics, assignments, sir, objectives, girls, reports, others, credits, conclusions, arrangements, competencies, participants, journalists, options, periodic, reductions, practices, instruments, grounds, relations, services, Achievements, situations, conflicts, amendments, elections, archives, Patents, reassurances, challenges, concerns, Standards, tribunals, actions, channels, Communities, victims, actual, commitments, special, Warranties, Remedies, Pensions, terms, elements, peoples, shares, Categories, values, kids, assessments, prisoners, questions, Crimes, minors, workers, drawings, assets, assurances, Regulations, allowances, issues, ambitions, reasons, decisions, borders, wishes, courts, observers, admissions, revenues, rents, reforms, routes, Treaties, Societies, VOTES, Prices, paragraphs, mechanisms, guys, Activities, groups, actors, Policies, rates, Taxes, licences, Areas, islam, lands, PATHWAYS, documents, sanctions, campaigns, statements, Conferences, protocol, levels, NGOS, Lives, procedures, Copies, speakers, _, methods, aids, games, means, Dibs, discussions, emissions, nations, concepts, Students, skills, judges, Companies, beings, balkans, works, needs, Goals, payments, members, Efforts, causes, facts, offences, dishes, media, leave, products, demands, quotas, 53, projects, limits, Countries, pieces, rules, Agencies, texts, colleagues, problems, gdp, comments, proposals, songs, layers, norms, MDGS, may, abuses, Ones, 2007, aspects, events, Roles, views, 19, debates, cases, examples, 1998, Males, amounts, funds, 2003, meetings, privileges, 2008, ii, 37, 2005, 2002, matters, 2001, organization, permissions, parliament, cultural, Permits, Minorities, IPRS, 2000, report, humanos, provisions, Refugees, torture, complaints, resolutions, tariffs, technical, Resources, settlements, institutions, police, Royalties, Parties, regimes, civilians, organs, Measures, DUES, customs, -rrb-, sessions, *, Persons, Forms, acts, /, humans, item, programme, tolls, people, :, ., C, Levies, Bodies, meeting, women, 2004, 2006. Charging, special, pilotage, dealing, tuition, birthright, rights-based, eligibility, law. Was, permitted, granted, qualified, primary, decided, said, supposed, Allowed, made, guy, law. set, registered, granted, charged, Remedied, concerned, revised, respected, Submitted, considered, continued, held, enforced, Created, taken, paid, adopted, dated, entitlements. executions, includes, provides, Has, needs, DUES, male, law, entitlements. You have your rights as a wife until they're denied you. You know that you will be well within your rights to remain silent. requiescat, right away, res gestae, roasted, resid, risotto, rock-steady, reject, rigged, rough cut, requite, request, rheostat, resect, requisite, rushed, razed, rest, ragweed, racket, rigout, rouged, racquet, rhizoid, raised, roget, ricochet, reset, roast, Rico Act, rugged, rasta, reseed, rachet, restate, residue, rogue state, rust, rusted, rough-cut, restitute, resuscitate, rye ergot, rosy-cheeked, regicide, rose-cheeked, roost, rajidae, rosita, russet, requested, reseda, ragout, rockweed, richweed, regatta, rigid, rossetti, rush out, rocket, ragged, ricotta, roquette, rosidae, rested, rusty, react, roseate, resist, reside, rushdie, rectitude, recite, resuscitated, rest day, recto, rosewood, rescued, Rasht, rickety, rag day, recessed, rig out, rigidity, Resht, recede, rau-sed, rare-roasted, reach out, reseat, right-eyed, recode, racist, roughcast, rosette, rough out, recast, rejected, reshoot, roughshod, rackety.